The child specialist speaks directly with children of parents going through divorce. They can serve as a voice of the children during meetings to ensure the children’s concerns are being addressed. 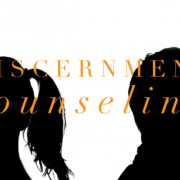 Though child specialists may not be necessary in every case, they may be especially helpful in cases with teenagers or where a child has behavioral issues that should be addressed in the parenting plan. If you have questions regarding the collaborative divorce process in Hillsborough, Pinellas, Pasco, Sarasota, or Manatee counties or beyond, schedule a consultation with Family Diplomacy: A Collaborative Law Firm at (813) 443-0615 or CLICK HERE to fill out our contact form. Adam B. Cordover is co-author of an upcoming American Bar Association book on “Building a Successful Collaborative Law Practice.” He is former president of Next Generation Divorce, growing it to become the largest practice group in Florida, and he is on the Research Committee of the International Academy of Collaborative Professionals.